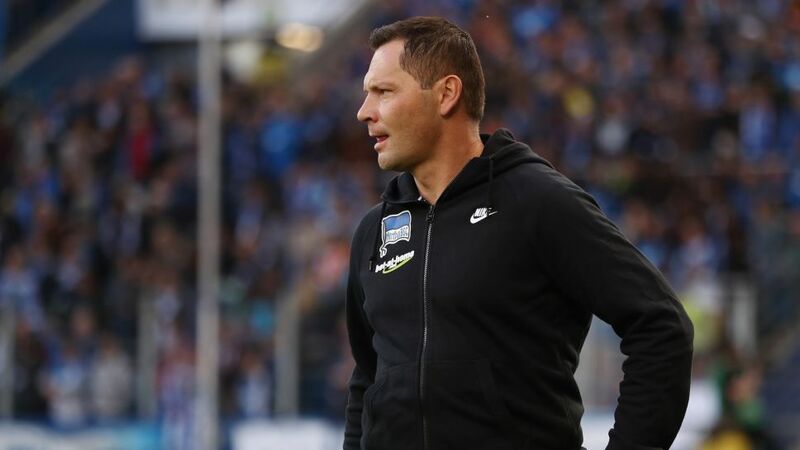 Hertha coach Pal Dardai wants to see a reaction in Berlin after the disappointing defeat at Hoffenheim. Pal Dardai is expected to bring Maximilian Mittelstädt in at left-back as he makes changes to his defense after the 1-0 loss at TSG 1899 Hoffenheim. Fabian Lustenberger returns in midfield as Niklas Stark drops back into the back line. Salomon Kalou is likely to be preferred to Julian Schieber up front behind Vedad Ibisevic. Raffael is in line for a return to the starting XI as he returns to full fitness. He is expected to come in for Mahmoud Dahoud and lead the line once again. The only other expected change from the side that drew 0-0 with Eintracht Frankfurt is Julian Korb for Tony Jantschke. Raffael for Thorgan Hazard is also likely to be the only change from the side that drew 1-1 in the Champions League on Tuesday. Hertha Berlin host Borussia Mönchengladbach at the Olympiastadion with the game kicking off at 20:30CET/19:30GMT on 4 November.